Highest quality fencing from just £41.60+VAT per panel for a week. Working at height is probably the most hazardous job on any construction site in Manchester and that’s a fact! That’s why it is essential to make sure you have all the right kit for the job and that includes investing in a stable, safe platform. At Scaffolding Manchester we understand the dangers involved we work hard to make sure that you have the safest possible platform for when you work at height. Don’t take the chance don’t risk it on a dodgy ladder the statistics show that the consequences can be fatal. 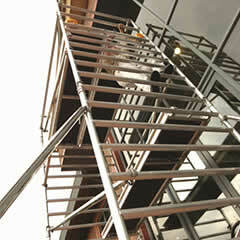 Find a decent scaffolding contractor who can answer your questions and build you a custom platform to remove the risk. 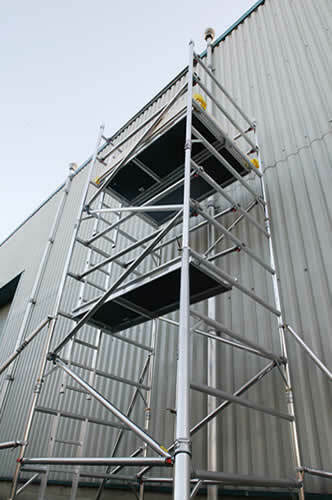 Scaffolding Manchester-bound can be quite difficult to come by and domestic users shouldn’t be fooled – this ingenious piece of equipment is not the same as an aluminium scaffold tower. Scaffolding comes on the back of a lorry and arrives with a team of professionals who will assemble it for you so you know it is perfectly safe and in good working order. It means scaffolding contractors Manchester create a fixed structure which includes platforms that cannot be adjusted making it absolutely ideal for all those specialist tasks that tend to be located at a greater height than usual. Last year 4000 people were injured while working at height. So before you hire make sure you get the highest quality branded stock so you can be sure you are working safely. Speak to one of the few Access teams in the country that have been fully PASMA trained and a company that has earned a reputation for high levels of customer satisfaction 0333 122 1188 . See our testimonials below. Although it might be more costly than hiring a scaffold tower, you will have the peace of mind knowing that the scaffolding is regularly checked, inspected and it has been put together by professionals. This will give you a base to work from which is far higher than the average scaffold tower so it is great for building, roofing and other work at height. Remember scaffold towers may appear to be a cheaper option but that is often because you have to sacrifice valuable work time assembling a dismantling them yourself. And if you hire a scaffold tower to work on a really big project you may have to ask yourself, ‘Is this equipment really up to the job?’ Best call Scaffolding Manchester instead. 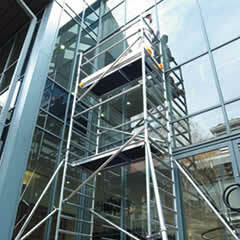 Scaffolding Manchester understand the importance of making sure they have the right kit – they risk their lives working at height every day of the week but they know with all the right safety precautions in place they can minimalize that risk. According to the HSE, falls from height continue to be the most common cause of death in the workplace. Latest reports show that there were 35 fatalities, 4,654 major injuries and 7,065 injuries that caused the injured person to be off work for more than three days due to a fall from height in 2008/9. Don’t become another statistic, whether you are a professional contractor or you simply want to do a few jobs around the house, make sure you make the right choice when it comes to hiring the correct equipment for the job.